Fitness Forever is a way to get kids, regardless of economic conditions, inside racquetball courts and close to mentors who know both the sport, and the demands of life in their local communities. We understand that the growth of racquetball lies within our youth. Sports can empower young people in a way only a few things in life can. Racquetball shares many of the same accessibility problems that sports like golf and squash do. Both of those sports, through programs of their own, have been able to reach out to youth, mostly on the fringe of accessibility. (Golf has TheFirstTee.org and squash has NationalUrbanSquash.org.) Following in a similar mindset, RYDF is beginning to implement its Fitness Forever program, a strategy of community engagement outreach to teach youth and adults the value of healthy living through physical activity. RYDF’s Fitness Forever program, sponsored by seed funding provided by National Life Group Corporation and supported by RYDF mentor Rocky Carson, is providing resources to the In-Shape and Oakland programs. Dave and John Ellis of Stockton, California, are prime examples of sports mentors operating within an area that is ripe for community enrichment programming through racquetball and other racquet sports. Stockton and Oakland are cities that have serious needs for programs that reach youth through sports. 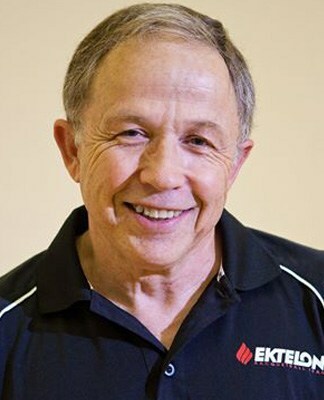 In Stockton, Dave Ellis has been involved in racquetball for the better part of his adult life. He raised his son John to play and compete professionally in the sport. Dave has also coached countless high profile athletes and is currently the coach of the U.S. adult national team. Participants from local schools, community centers, and neighborhoods learn to understand the importance of exercise and a healthy lifestyle. In addition to learning the sport of racquetball, the program addresses the negative impact drug, alcohol and tobacco use can have on our youth’s future, as well as the positive force that academics and competitive sports can provide. Participants will be involved in mentorships that foster a sense of loyalty to their families and communities. Fitness Forever, as a program of RYDF, seeks to find and locate places like Stockton in order to place skilled and dedicated mentors in areas in need. Extending a hand to those unlikely to set foot on a court not only improves the lives of those children and their families, but also their communities as a whole. Access to racquetball facilities will also help grow this great sport. 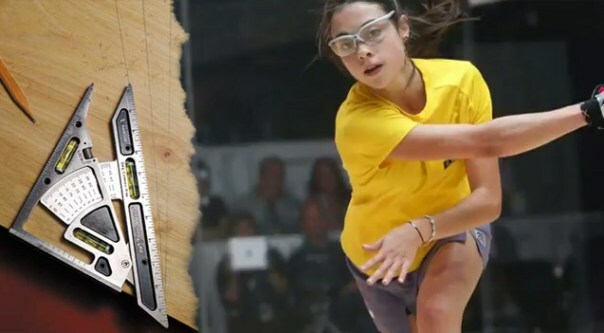 Racquetball is a young sport, full of promise and potential, but make no mistake, it is at risk, not unlike those at-risk youth. Early adolescence is a wonderful but fragile time. RYDF believes that all young people should be given the opportunity to experience the challenges and benefits of racquetball. The Reaching Your Dream Foundation encourages a wide range of youth and adults to take part in the movement toward fitness and a healthy lifestyle. In order for RYDF to expand its Fitness Forever program, we encourage all of you to kindly consider offering donations of time and money to help grow this life changing program. In the end, RYDF acknowledges that the racquetball community is only as good as the potential of its youth. We invite you to join the movement and we sincerely thank you in advance. There are two prominent ways to win in amateur racquetball, (1) overpowering your opponent by striking the ball with extreme power throughout the rallies; and (2) by retrieving everything, keeping the ball in play, until your opponent makes a mistake. Many outstanding junior and collegiate players enter the pro tour with histories of winning with one or both of these qualities. To become a successful professional, however, a player has to realize that at the highest level these strategies are faulted. At the highest level, you will not be able to overpower your opponents. You will not be able to retrieve your opponent’s shots continuously. A prospective professional player has to realize that he/she will need to add major new elements to his/her game. It will perhaps take some losses to convince our prospective pro that this is the case, but this realization must be made to have the correct mental attitude to move forward.